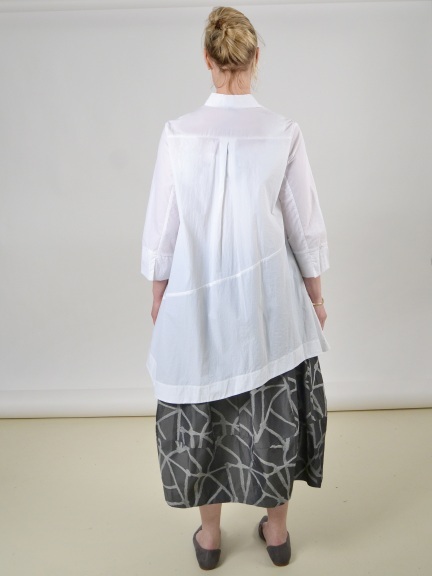 A big white shirt with a twist. 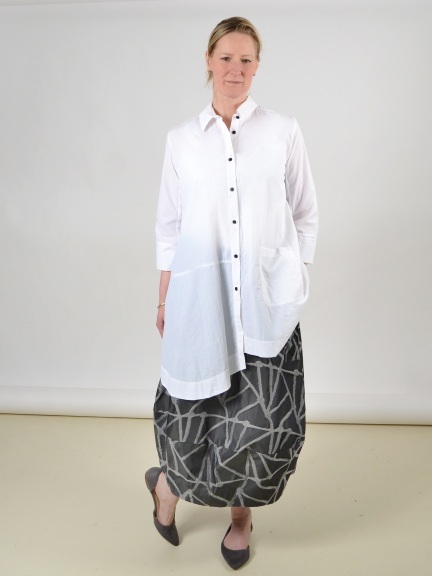 A-line, button front tunic with lots of detail: asymmetrical curved hem, contrast buttons, and left-hand patch pocket. Three-quarter length sleeves, convertible collar. Made in USA. Hand wash cold, hang to drip dry.